In 1881, horses and buggies were the main form of transportation. 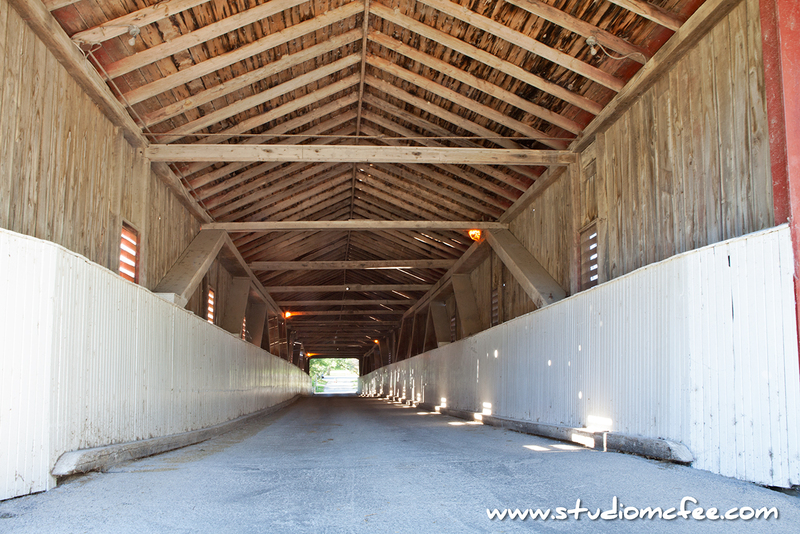 Covering a bridge served two purposes: The roof protected the timber frame from the elements and, the sides (or walls) of the bridge prevented the horses from being spooked by rushing water. The West Montrose Covered Bridge would appear to have served both purposes well. The bridge remains in use and local Mennonites still take their horses and buggies through the bridge on a regular basis. 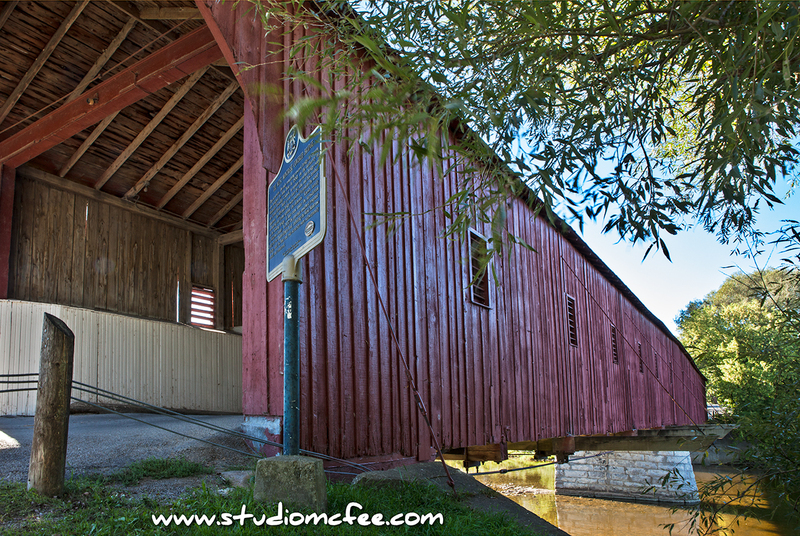 According to the Township of Woolwich website, the bridge is Ontario's only remaining covered bridge. It crosses the Grand River with a span of 198 feet. The Township website also says that the bridge is sometimes called 'The Kissing Bridge' because the enclosed area provides some privacy and the soft light filtering through the boards can create a romantic ambiance.